PSTA has partnered with USF and Hillsborough Area Regional Transit (HART) to add our Real Time Bus Info to an app called OneBusAway. This app will give PSTA riders one more way to use the Real Time system (texting, auto-voice call, and website are still available). We’re looking for riders to help us test the app — How does it work for you? Are you getting accurate Real Time info? How do you feel about the interface? Want to help? Download the test app from one of these links, give it a try, and tell us what you think using the help/feedback function in the app. 1,000 is the number of steps it takes to get from the nearest bus stop at US 19 and Roosevelt Boulevard to the Walmart Supercenter located on the corner—rain or shine. PSTA thought they could do better, so they changed it to seven. On the east side of Walmart at US 19 and Roosevelt, the new Largo Transit Center is set to open to riders on Sunday, May 1st. 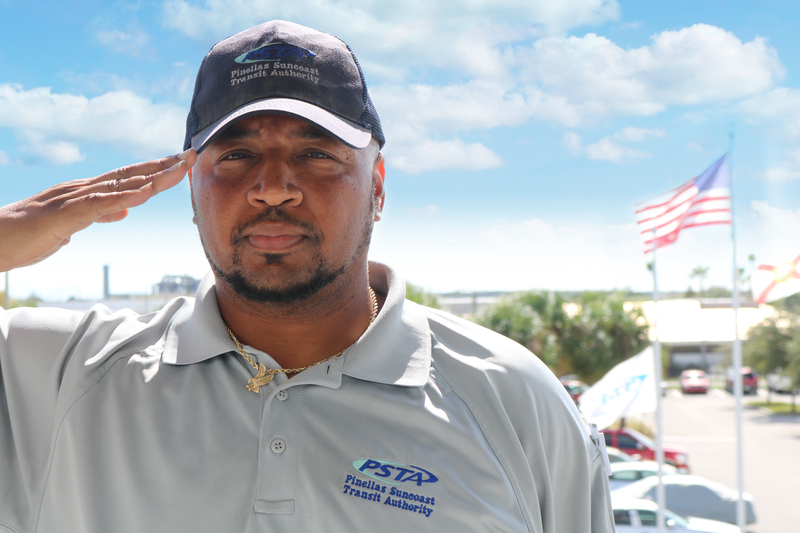 Located in the heart of Pinellas County, Largo Transit Center is served by some of PSTA’s highest ridership routes, namely Routes 19, 52, and 79. Not only will riders and employees of nearby businesses now have a convenient, comfortable place to make transfers, they will also be the first to enjoy PSTA’s new bus shelter design. With a teal roof and clear blue glass on one side, the new shelter design is sleek and modern, while still being functional and practical with plenty of seating, shade, and trash receptacles. An official ribbon cutting marked the opening of the center and the new shelters on Thursday, April 28th. PSTA’s CEO Brad Miller was joined by Largo Mayor Woody Brown, PSTA Board members Commissioner Joe Barkley (Belleair Bluffs), Councilmember Bill Jonson (Clearwater), Commissioner Janet Long (Pinellas County), Brian Scott, and Walmart store manager Sheila Perez. Largo Transit Center will deliver significant value to the lives of riders, making it easier to transport heavy loads of groceries, get to work on-time, and move more efficiently across the entire reach of Pinellas County.